The rustic beauty of oil-treated Mediterranean floors has a timeless appeal – and now you don’t have to own a villa in Provence to enjoy it. California Classics has perfected this popular antique style in the Mediterranean Hardwood Floor Collection, now available at Slaughterbeck Floors in Campbell, CA. Check out more about hardwood flooring in the San Jose area. Oak is naturally beautiful, but California Classics elevates its beauty to an art form. Their highly skilled artisans hand-select the finest aged French oak and enhance it by accentuating the wood’s unique characteristics and personality. The Mediterranean Collection’s hardwood flooring is made in the meticulous, the old-fashioned way; from careful sourcing of raw materials all the way to the final finish. How meticulous? 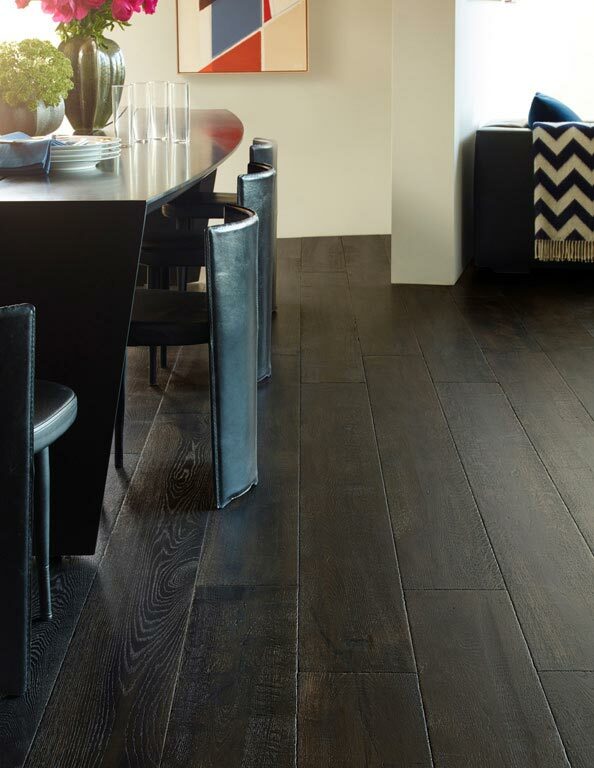 The Mediterranean Hardwood Flooring Collection’s planks are milled precisely eight inches wide by six feet in length. A signature, double-smoking technique is then used to age the natural oak grain and lock in 14 heirloom-caliber colors. Finally, the surfaces are lightly scraped and the edges are carefully hand-carved. Visit the our flooring store in Campbell to experience the beauty of the Mediterranean Hardwood Floor Collection for yourself. Slaughterbeck Floors carries over 35 species of wood from 25 manufacturers and invites you to take some samples home to see how they look with your décor. Creating a convincing antique look is no easy task. The Mediterranean Hardwood Floor Collection’s “authenticity” comes from the variety of techniques it uses to create a vintage appearance. Character Grade“Character grade” wood showcases the natural beauty and characteristics of wood, such as light and dark spots, knots, cracks, mineral streaks and wormholes. These imperfections provide a simple elegance and uniqueness to each plank, before hand-distressing, hand-scraping or wire brushing is applied. Dual Hand-StainedDouble hand-staining is a time honored technique used in fine furniture making. Two separate colors are applied by brush, rather than a single color sprayed on once by machine. The result is a dramatic depth of color that heightens the natural grain and its undertones. Hand-DistressedCalifornia Classics’ craftsmen custom “distress” hardwood floor planks to achieve a particular kind of antique look. They study each piece of wood carefully and then choose certain tools and techniques to fully bring out its unique personality – including chatter marks, dents and wear and tear to the edges and ends. Smoky Earth TonesMid-tones of gray, green and brown elicit an earthy, weathered beauty. The Mediterranean Hardwood Floor Collection’s smoky earth tones capture this beautiful natural palette, reflecting today’s design trend towards understated, yet eye-catching, color. Brush TexturingWire brushing opens the grain by removing the soft springwood, leaving the harder summerwood with some slightly sunken knots. Applied before sanding, wire brushing accentuates the grain, creating intriguing textures that give the floor a distinct look. A hardwood floor’s final finish is critically important to its appearance and maintainability. A quality finish protects the wood and preserves the fine details of its grain, patterns and colorations. A mediocre floor finish will cloud these subtle yet beautiful details. California Classics’ engineered hardwood floors look and feel exactly the same as solid wood floors, but they offer significant benefits that natural wood does not. 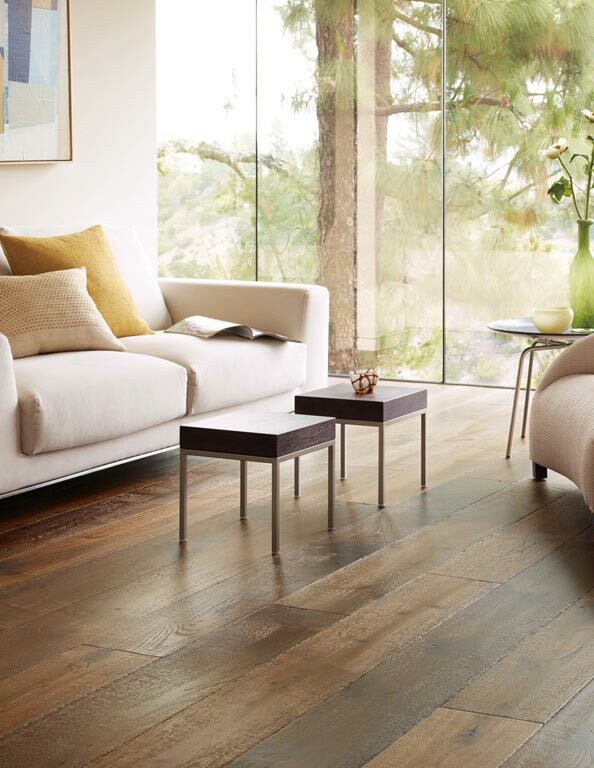 California Classics is committed to sustainable flooring products and using green certified, self-renewing sources. All suppliers adhere to strict environmental protections including CARB-Certification, which sets safety standards for formaldehyde emissions, and the federal Lacey Act, which protects wildlife. 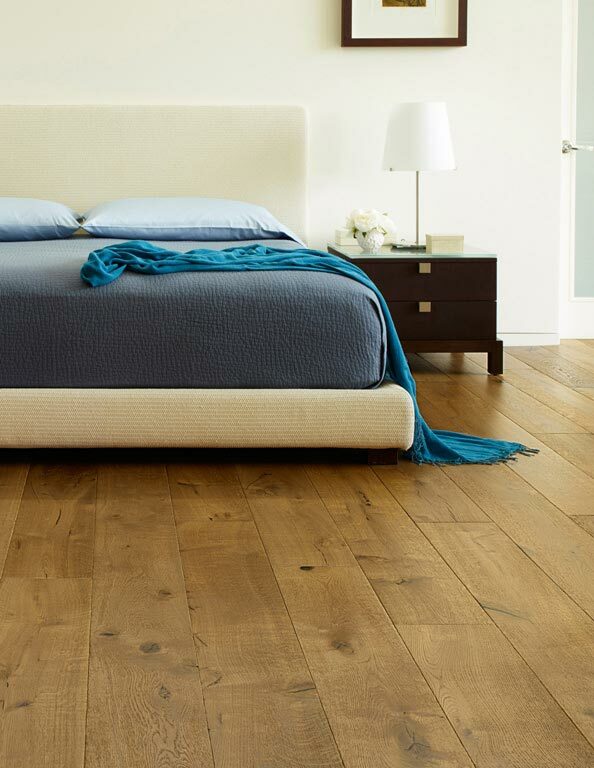 California Classics’ wood finishes are also eco-friendly. Their Enviro + Plus finishes by Valspar are HAPs-free and emit zero VOCs – surpassing all KCMA coatings performance standards. Contact us and let our experienced staff help you find the right floor covering for your home or office. 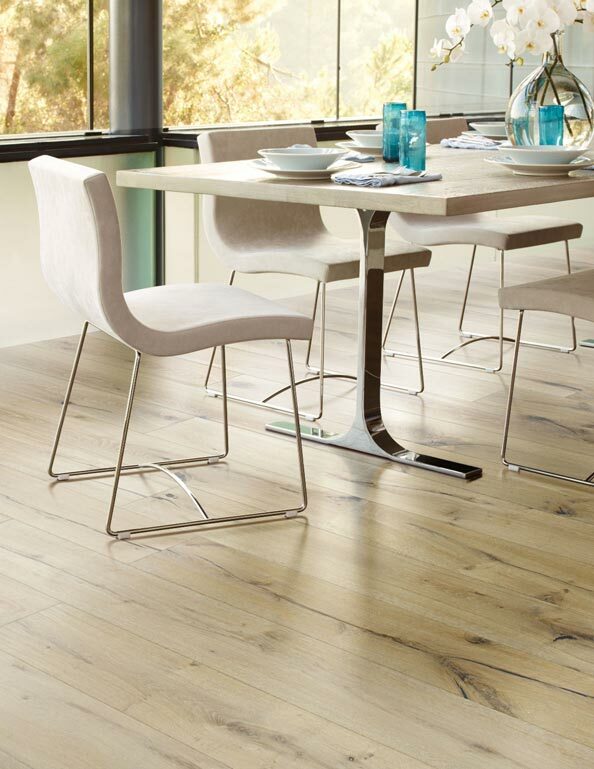 We carry a complete line of floor covering that includes exotic wood, laminate, carpet, cork, tile, vinyl and linoleum.